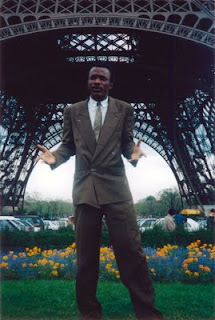 I would like to start this week with a dose of high energy from Senegal. 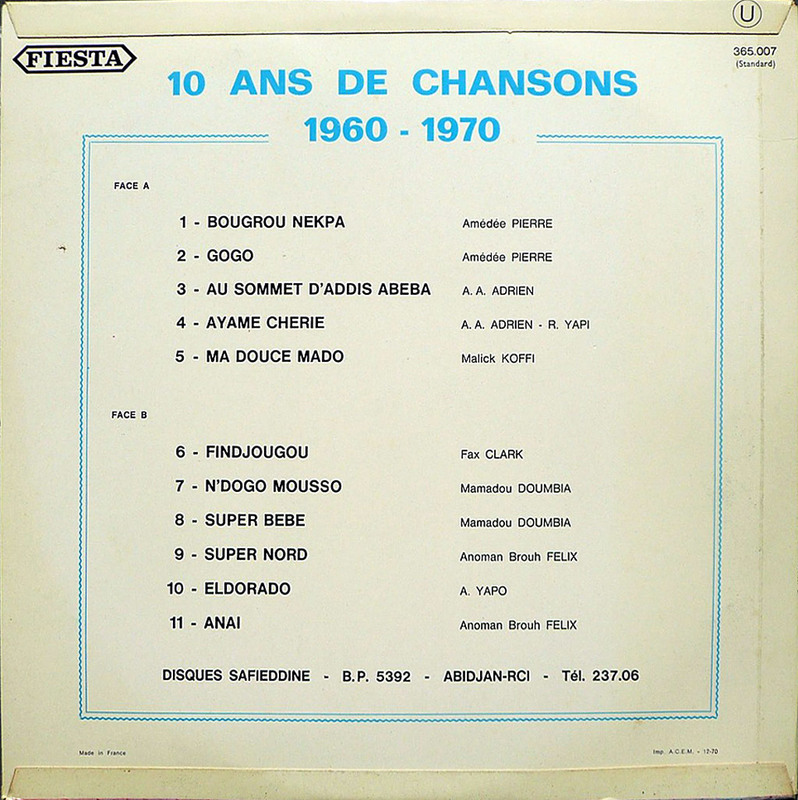 Although I have had this album by Orchestre Gorom for years, it is only over the last ten to five years that I have come to fully appreciate the content of it. I stress the word 'content' because the splendid cover had caught my eye straight away, and perhaps was what motivated me to buy the record in the first place. 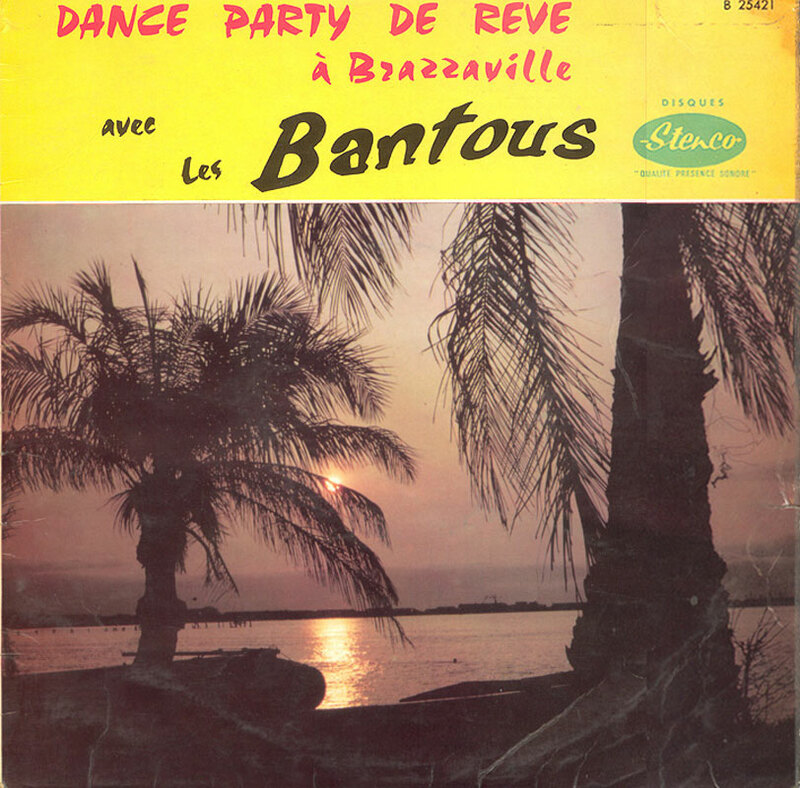 It started when I heard the cd "Gainde" in the World Network series by Youssou N'dour and (mainly) Yandé Codou Sène. I immediately recognised that incredibly fierce voice from a documentary I had once seen on French TV5. I am sure I must have this documentary somewhere; as soon as I have recovered it I will post it. 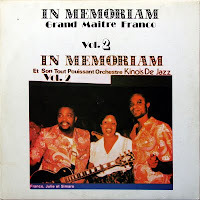 Listening to her contribution on "Gainde" was the key to the lp by Orchestre Gorom. Although her direct influence is limited to only two songs it 'opened up' the others as well. 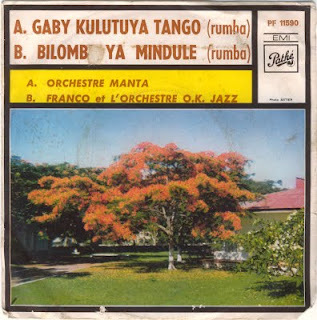 Of these two songs, by the way, one can be found on both albums, although the name is slightly different ("Siyare Na La" with Gorom and "Siare Naala Ndigal Faal" on Gainde). 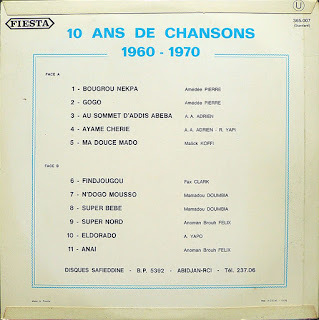 It is a pity the writer of the sleeve notes got carried away a bit and attributed all the songs to Mrs. Sène. I have a nasty suspicion this exaggeration may be politically motivated. 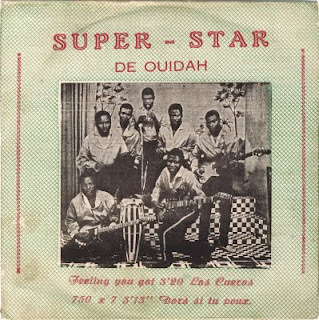 Yandé Codou is a representative of the Serer culture, a Senegalese ethnicity to which belonged President Léopold Sédar Senghor. A (more recent) documentary (of which this is an excerpt) even refers to her as "The Griot of Senghor". 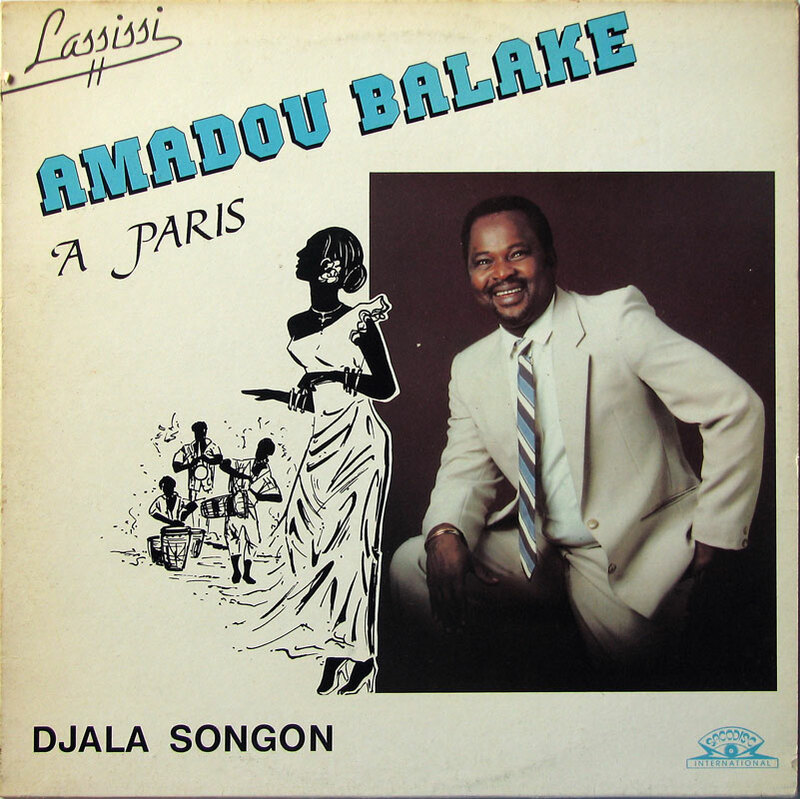 Looking back on it now, I think Khar Mbaye Madiaga should get at least similar credit for her influence on this record. 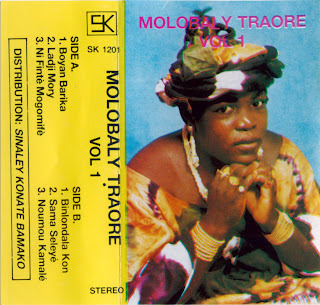 She also contributed two songs, and has also left a severe impression on Senegalese music and culture. Judging by this article I guess she must be considered to be a guardian of Senegalese tradition (another interview with this remarkable grande dame can be found here). 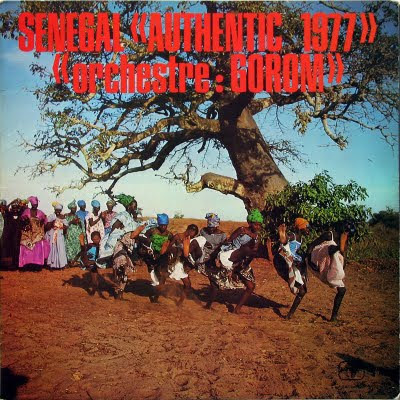 But don't get me wrong: the lp and Orchestre Gorom have stood the test of time, and for that reason alone deserve credit. Words fail to express the sadness I felt at the news of the death of another great human being, talented musician and friend: Mamaye Kouyaté. I only heard this a few days ago, but it appears he died last month, after a prolonged illness. 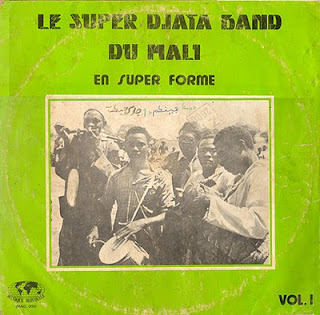 Husband of that great diva of Malian music, Mah Damba (who featured in this earlier post), father of some very talented children and good friend of the late Alou Fané, who even named one of his children after him. It was Alou who introduced me to Mamaye and Mah, and right from the start they treated me like I had been a friend for years. This cassette is proof of this immense talent. It features both Mah and Mamaye in great form. 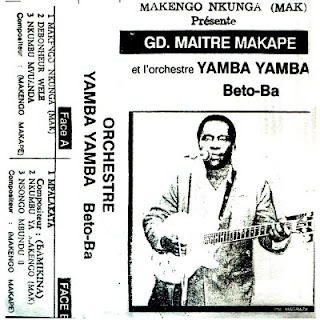 I am told that this cassette was the basis for a cd called "Nyarela", but I have not heard this cd. 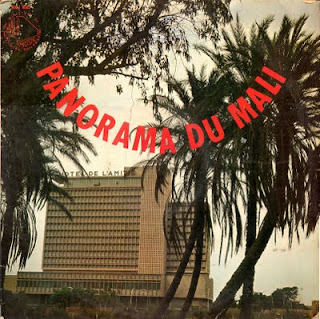 The title track "Nyarela" (after the quartier in Bamako) is one of my favourite tracks of Mamaye. 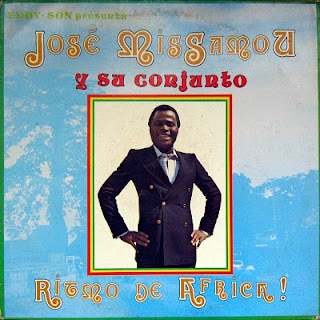 This 22+ minute track is a monument of his skills as a ngoni player, as a traditional griot (talking), as an accompagnateur of his exceptional wife. My condolences for Mah and family. The world has lost a great musician, Mali a worthy cultural ambassador, and I a friend. I have been busy digitising another batch. Unfortunately this resulted in another 'issue' which had to be resolved: lack of disc space. But after rearranging, moving and some good old throwing away, I managed to finish what I wanted to do. The fruits of these efforts I will share with you in this blog, albeit little by little. But this is an lp which I had intended to post earlier, but for some reason I haven't gotten round to it. 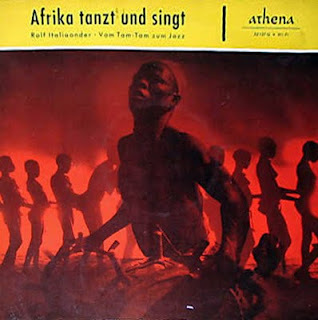 It is an older lp by one of my favourite artists from East Africa, Mbaraka Mwinshehe. 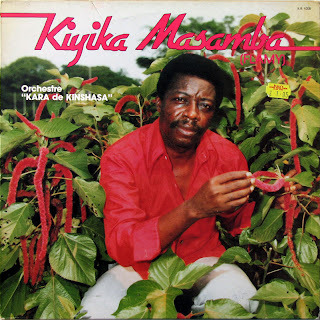 An earlier post was dedicated to Mbaraka with the Super Volcano orchestra. 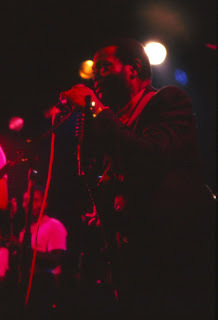 But this is from before 1973, when he was still with the Morogoro Jazz, or the "K.Z. 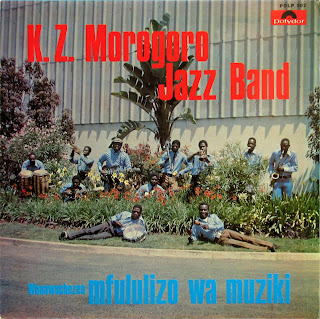 Morogoro Jazz Band" as they are called on this album. Most of these tracks have been reissued on the 'Ukumbusho' lp's, that brilliant series on Polygram's Polydor label. But compared to those releases, I would say that the sound of this album is perhaps slightly more open, more translucent. As always Mbaraka is without any presumptuousness or pretension. Horns blaring, guitars skuffling, the typical vocals: I just love this guy. 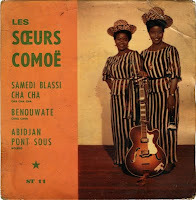 The lyrics talk about the Congolese music and musicians of both sides. 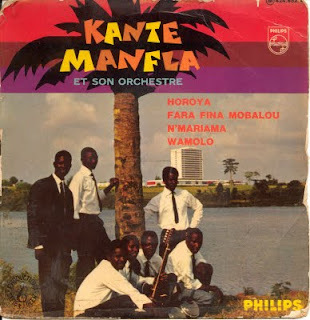 No Congolese musician from Congo-Kinshasa would sing about a musician from Congo-Brazzaville, - not that I know of anyway.."
The title, he explained as follows: "Bilombe is the plural of elombe. And what does elombe mean? (...) Elombe = someone living, thus elombe mobali = a man, elombe mwasi = a woman. Elombe is always 'positive' and contains some kind of admiration, the opposite is yuma. Bilombe ya Mindule = those 'fantastic men' who make music & song, i.e. 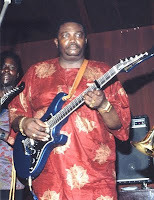 musicians (with the touch of admiration I was referring to above)." With this in mind, I begin to understand why I couldn't recognise the singer: maybe the song is simply not by the O.K. 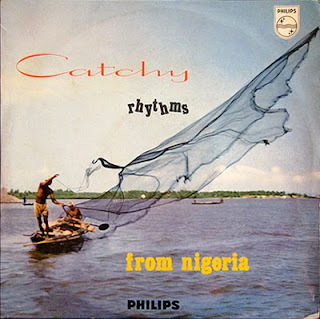 Jazz... Could the track be by the orchestra that is responsible for the A-side of this single on the Pathé-Marconi label: orchestre Manta? A mix-up is not completely unlikely. 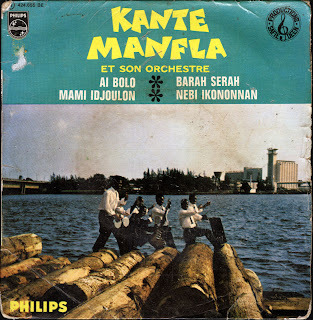 Manta also released some records through Franco's Epanza Makita label, so maybe the mistake started there. But there is still doubt. A doubt inspired by the horns on "Bilombe Ya Mindule". 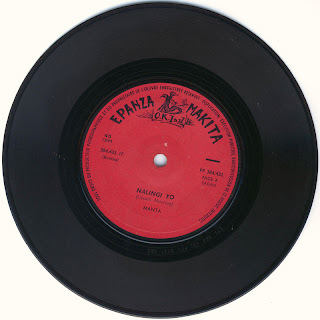 There is no sax at all on the Epanza Makita record, and only one sax on "Gaby Kulutuya Tango", the A-side of the Pathé 45. So who are these 'fantastic men'? 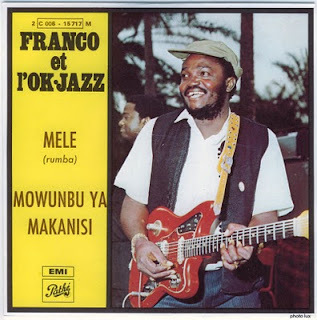 PS: Come to think of it: where is Franco on "Bilombe Ya Mindule"? 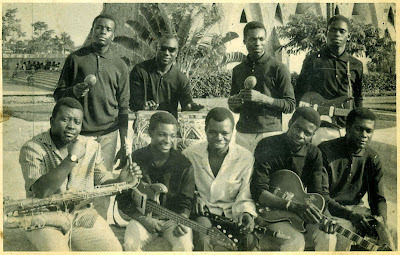 Let me start this post by drawing your attention to the update of an earlier post, which dealt with a delightful collection of songs from Ivory Coast, called "Ivoire Retro". I have retrieved the two songs that were missing of the original album. The lp can now be savoured in its complete form (or you can download the two missing tracks). The same Dolf that helped me out with that lp, also happened to be in the possession of this rarity, titled "10 Ans de Chansons 1960-1970". 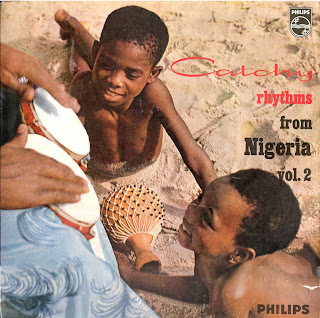 It's another collection of musical petit fours from Côte D'Ivoire. 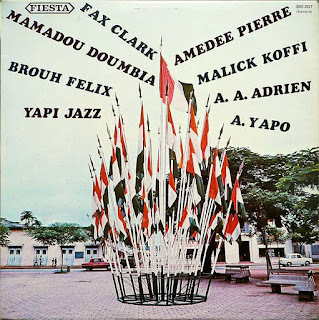 The quality of this lp on the Fiesta label (the precursor of the African label) is not as good as the Ivoire Retro lp, but to me any additional track of artists like Amedée Pierre, Fax Clark or Mamadou Doumbia is already a veritable treat! Of course, the two (yes!) 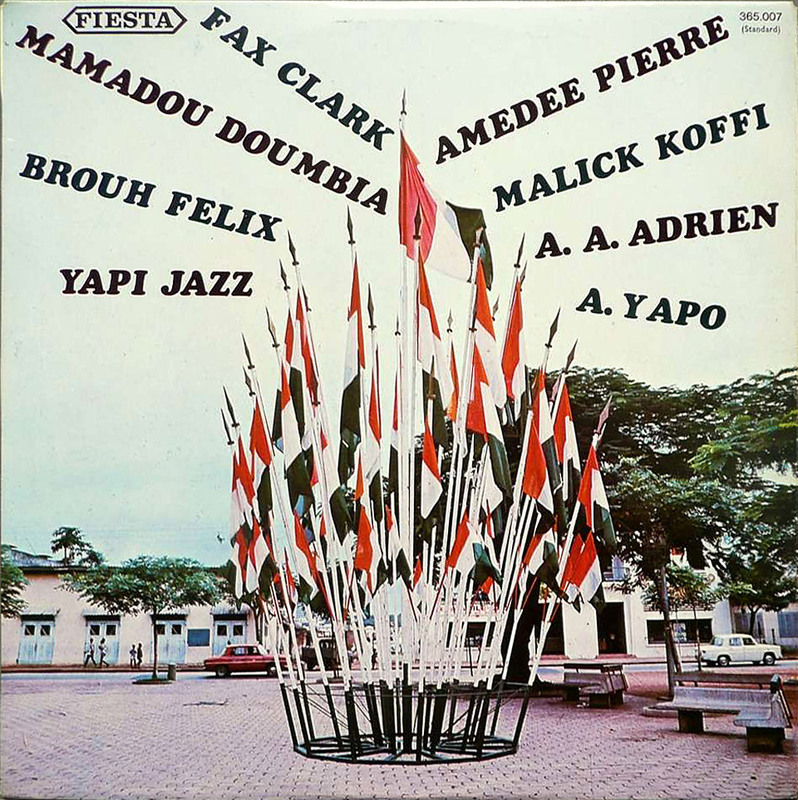 songs by Amedée Pierre stand out, but "Ma Douce Mado" by Malick Koffi (and I suspect Mado in this case is a female) and Fax Clark's growled "Findjougou" offer stiff competition. 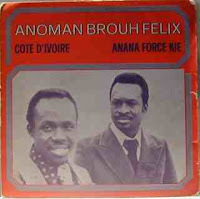 Tracks like "Super Nord" by Anoman Brouh Felix (of whom I recently saw some singles on the internet - e.g. this one on the right) and "Ayame Cherie" by A.A. Adrien & R. Yapi (with a slightly disturbing bit of slide guitar!) 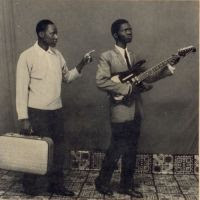 again show traces of the influence of Congolese music. If there is anyone out there hoarding similar treasure troves, please contact me! EDIT September 3, 2015: The sleeve for this album has turned up! It has been added to the album (see link above), and new mp3's with a higher bitrate have been included. 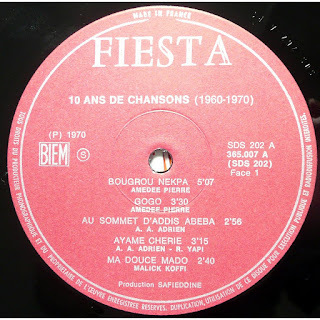 Also here is a temporary FLAC version: Fiesta 365.007 flac (until December 1, 2015). I copied this cassette from Ali Farka Touré in the early 1990s. He used to bring cassettes along on his travels, usually from local celebrities*, and occasionally of his own work. 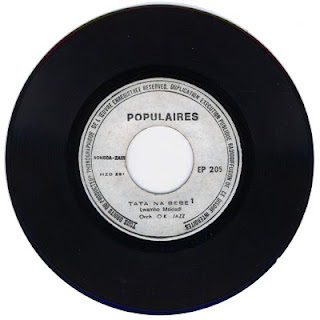 In turn I made copies for him of music which over time had become rare in Mali, - like for example the Koni Coumaré lp on Fiesta, or (good quality) cassettes of Toumani Koné. 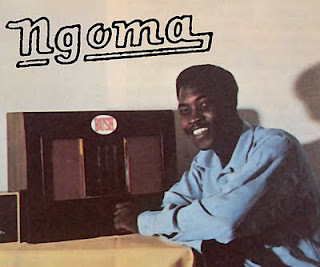 The cassette contains private recordings made by Ali himself, of a concert in Dofana by his group Asko, featuring Ali, Hamma Sankaré and Amadou 'Affel' Bocoum. So the recordings were made 'chez lui', and if you ask me, this can clearly be heard in the result. Ali is obviously in his element. 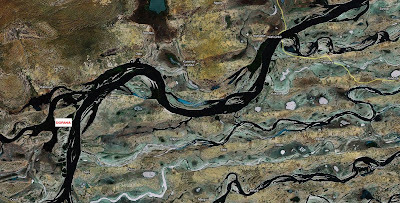 Take the last song: this is music for wide horizons, for the slow flow of water in the nearby river. I haven't checked this, but I wouldn't be surprised if all of the songs have - in one version or another - been released on the many cd's Ali has left behind. I do know the first song was re-recorded a few years later for the album "The Source". But this cd-version, in my opinion, can't compete with the version on this cassette. In case you're wondering about the surrealistic picture on the right: I have added this partial screenprint from Google maps to give you a (very rough) idea of the layout of the village that is the subject of this song. The yellow line on the top right is a road. So to get from Niafunké (the principle village in the cercle, as Affel remarks) the river seems the easiest way. And the 'vingt kilomètres' (twenty kilometers) must be the distance from Niafunké to Dofana by pirogue. The song celebrates a project in Dofana to use water from the river for irrigation (thus enabling some agriculture to take place in this remote locality) and the initiator of this project. 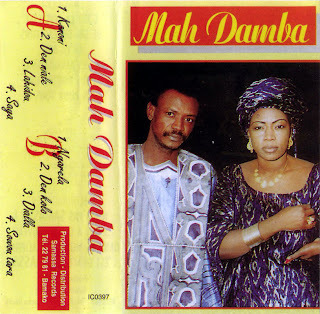 I would like to begin this post by referring you straight away to the site of Muzikifan, which not only offers a concise discography of Super Mama Djombo, but also a very relevant introduction to these two records. 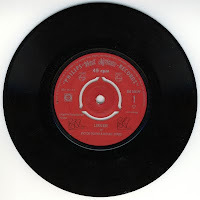 Yes, two records: the second and third volume of the SMD series. I copied these lp's years ago, and for some reason lost in the mist of time (or my memory) I have not copied the second track. So to make up for this act of obvious stupidity I am adding a second lp. 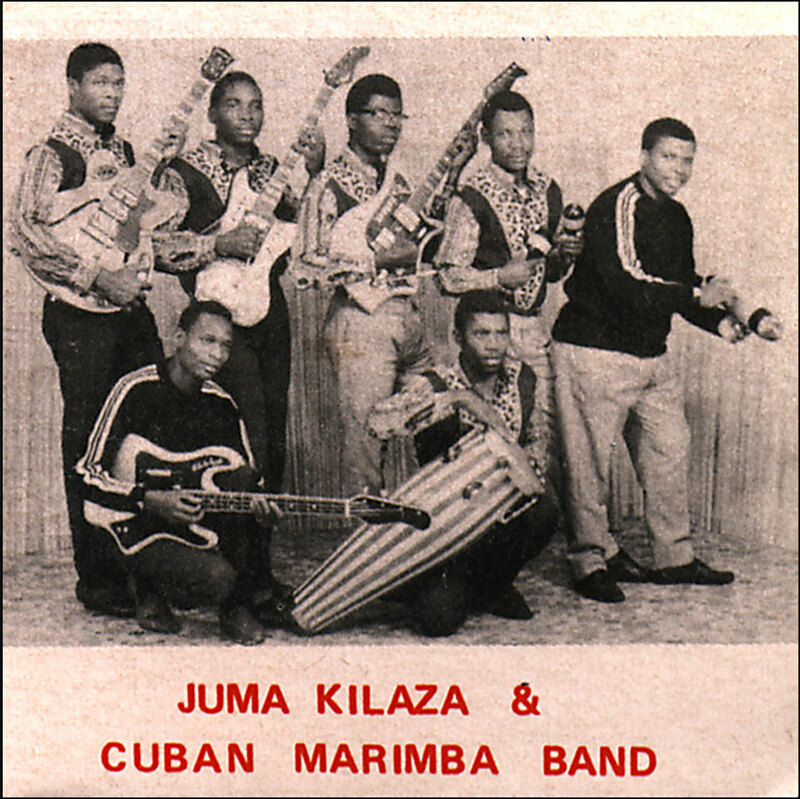 The second volume is titled "Festival", which as they keep repeating in the title song is a reference to the festival Super Mama Djombo attended in La Habana, where they joined the struggle ("luta") against imperialism. 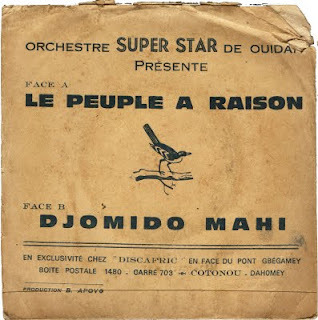 With this song you don't have to understand crioulo or portuguese to get an idea of what this orchestra from Guinea-Bissau is talking about. It gets more difficult with the other songs. "Mortos" no doubt means "dead", and "nega" may have something to do with denying. But what does Cabo Verde have to do with this? 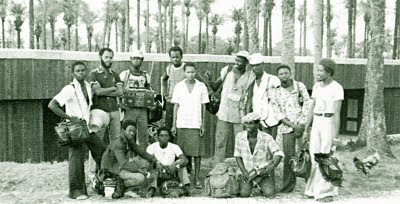 And about which Cabral are they talking: about president Luis Cabral, who was overthrown at around the time this record was released, or about his brother Amilcar, who was killed in Conakry in 1973, by the Portuguese (who three years before had attempted to get rid of both Sekou Touré and Amilcar Cabral). Luckily it is balanced by the peaceful "Julia", which is neatly summed up by Muzikifan: "There is a dreamy guitar floating across the stratosphere". Great song, which was a logical choice for that memorable CD released in 2003 on the Cobiana label. 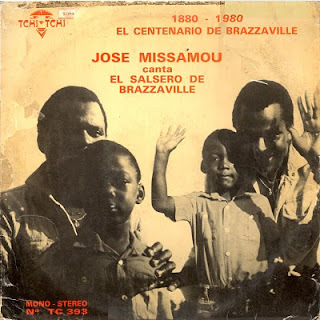 The third volume, "Sol Maior Para Comandante", is really another album in the Regard Sur Le Passé style, including a storyteller recounting the historic events. The difference with Bembeya's Regard is the fact that the events (the heroic acts of Amilcar Cabral in the luta for the independance of Guinea-Bissau) weren't from a (relatively) distant past, but from a few years before the release of the album! 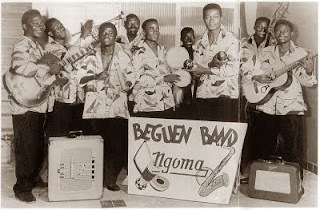 Like the Bembeya classic, the album not only conserves a very interesting chapter of African history, but also offers some brilliant music from a country which has remained relatively underexposed in the study of and research into African music. UPDATE: Alastair from Muzikifan was kind enough to send the missing track of SMD 002, plus copies of both sleeve and labels. For those who have already downloaded this volume, here is the additional material. Those who have not yet downloaded the volume can use the 'normal' link to download the complete album. 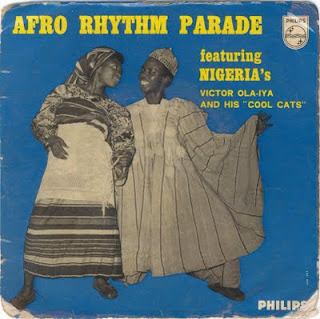 Thanks also to African Music Recycler for sharing the missing track through the link in the comments. A quick midweek post now, and one in a very different mood and from a different culture. 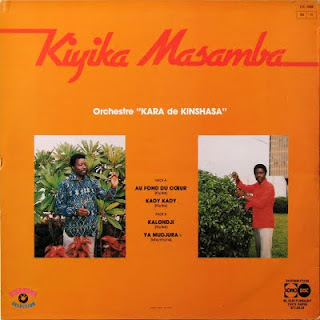 In an earlier post I have already mentioned the inimitable Lalo Keba Dramé. 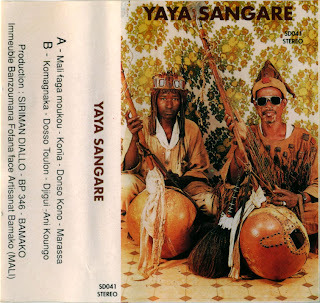 Well here is full cassette of that master of kora and copper vocals from the Casamance. In this cassette the metal ring to his voice is accentuated even more by a female backing vocalist. Together they venture to the edge of the tolerable, - and sometimes even beyond this (if you can't stand nails on a blackboard, be warned!). 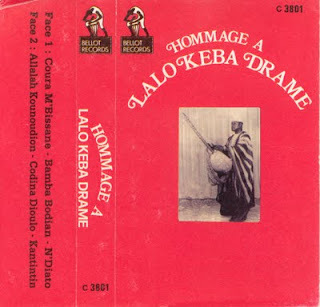 Lalo Keba Dramé's kora playing is dynamic and full of jumpy energy. 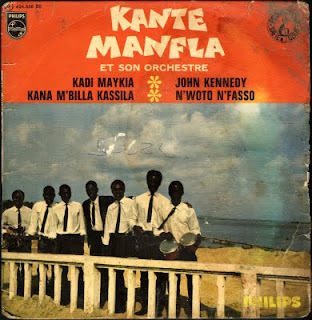 Unlike more recent kora artists, Dramé's art has a popular feel: I never get the impression he is trying to convey a 'higher', more sophisticated Art form.